The music of the African diaspora has recently experienced a resurgence within jazz circles. It's true that the '60s were a time of African renaissance within out jazz nuclei in Chicago and New York, but the recent explosion of recordings featuring American jazz musicians with masters from Cuba, Brazil, and West Africa stands as tribute and testament to the universality of improvisation. Tenor titan David Murray, of course, has led the charge. Having thoroughly explored the masters of American jazz and improvised music, Murray went global on recent Creole and Senegalese records. Yonn- De continues along the same lines, with a marriage between the music of Guadeloupe and good old- fashioned American jazz. 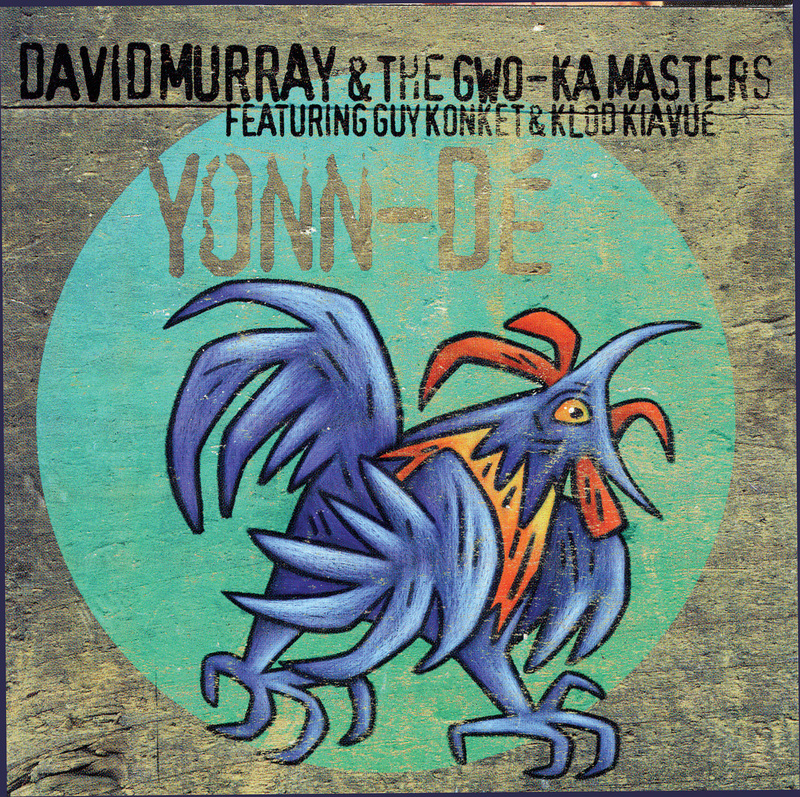 Joining Murray for this record are traditional vocalist Guy Konket and a pair of gwo ka drummers, plus a quartet of experienced jazz musicians. From the first salvo of this disc, it's clear that Konket's raw vocals will take center stage. As "Twa Jou San Manje" evolves, it moves into more melodic territory, eventually building up to Murray's trademark explosive blowing. The primal trance-like drums and vocals fit quite naturally into this context, adding a layer of color and texture which thickens the sound and lends it a magical, mysterious quality. After ten minutes of outright jam, Murray and friends turn toward a funky groove on "Youyou." Bassist Santi Debriano knows the territory well, and he almost singlehandedly turns the tune into danceworthy material. This upbeat piece stands as the high point of the record. Further explorations into a variety of rhythms and styles make use of a synergy between the American rhythm section and the drummers from Guadeloupe. "Onomatopee" takes counterpoint and polyrhythm to extremes, showcasing the flexibility of this group. At times sauntering and loose, at others tight and thrusting, Yonn-De never really loses a warm, spiritual quality. Of course most jazz listeners will be unfamiliar with the gwo ka tradition, and the stark rawness of its sound may surprise and confound. But in the end, Murray's efforts here are remarkably successful in their musicality and cultural richness. Yonn-De is a gateway to a fascinating kind of fusion, and it's sure to open doors for fans of improvised music the whole world around.